While working as a solutions architect, Tim Antonwicz was looking to find new ways to provide customers solutions to their IT problems. He specialized in virtualized and VMWare, designing solutions and managing project implementation on a wide scale. After his previous employer was acquired by Dell, Tim attended Dell’s Enterprise User Forum for the first time to gain new solutions and ideas. Since then, Tim has returned to the conference – not once, but four times. So what keeps Tim coming back? The access to new engineering resources helps Tim at his business. Over 30 breakout sessions and hands-on labs – led by Dell experts and product engineers – updates Tim on the latest subject matter areas that his company needed to stay strong and move forward. While transitioning into a bigger and more complex customer base, Tim relied on the knowledge shared in the Dell networking and storage sessions to help him learn how to configure and make things better for customers. For Tim, the chance to build personal relationships with Dell experts offers stand-out appeal. He cites a unique network of trusted friends who work at the Dell Center that that he met at the forum – and whom he can contact directly for advice. Now, when he has questions in the course of daily work, not only does he have access to regular Dell channels and the TechCenter, but he also can tap this extended personal network. 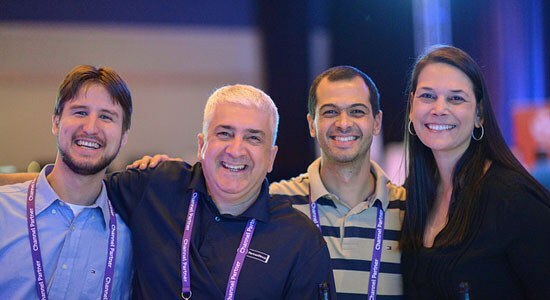 Tim is one of the 400 users, system administrators, and IT implementers from across the globe planning to attend this year’s Enterprise User Forum. During this year’s sessions and labs, expect to participate in the latest knowledge sharing around security, cloud, big data, mobility and the Internet of Things – and return home with new tools and relationships to boost your business. Register here and learn more about the forum. Tim was also named a Dell TechCenter Rockstar in 2014, recognized for making a significant positive impact on Dell TechCenter, blogs and social media when talking about Dell.